It seems as if I have forgotten about this blogging nonsense as my last post was nearly two years ago. It’s amazing how much has happened since then. I got married in August of 2010, got a job with the DLI (yes, again) in August of 2011, and had a baby girl, Madison, in October of 2011. 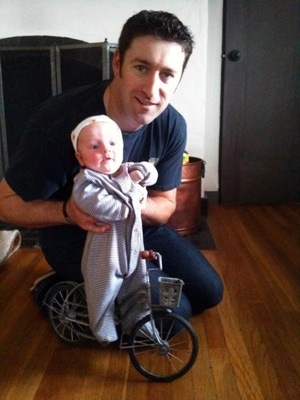 Yes, I named my daughter after the velodrome race because of my love of riding in ovals. I have also acquired and rid myself of several bikes and frames. 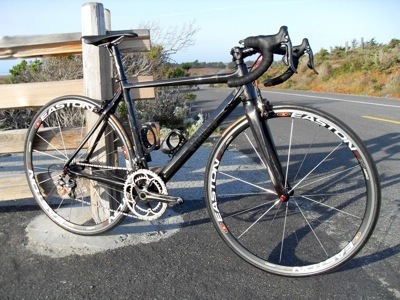 Just last week I sold my Colnago CLX frameset to a friend and GTR teammate. He’s as giddy as a schoolgirl researching and buying parts for it. When he has everything I will be building it with him to teach him how everything works. He is a good rider and has a killer S-Works Tarmac, but has never built a bike from the ground up. I’m pretty sure he doesn’t do any work on his own bikes based on the state of gnarlyness of his CX bike that I recently tuned up. I am now riding a Chinese open mold frame from Flyxii and am really enjoying it. It is simple with clean lines and looks great. riding (holy crap, that was twenty years ago), often out of Cycle Masters in Turlock with guys on the steel Edge frames. I don’t think I will be able to resist the temptation of that frame. We shall see. I have been riding more recently now that I’m getting the hang of having a mini-me in the house (which is awesome). 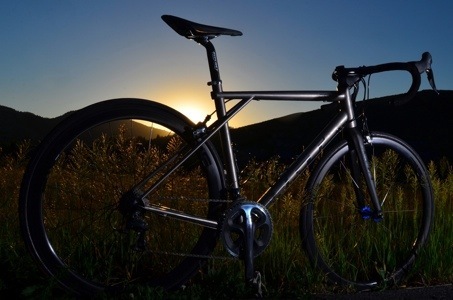 Maybe I can justify the mythical beauty that is titanium with some more saddle time.